Back to black and white drawings . 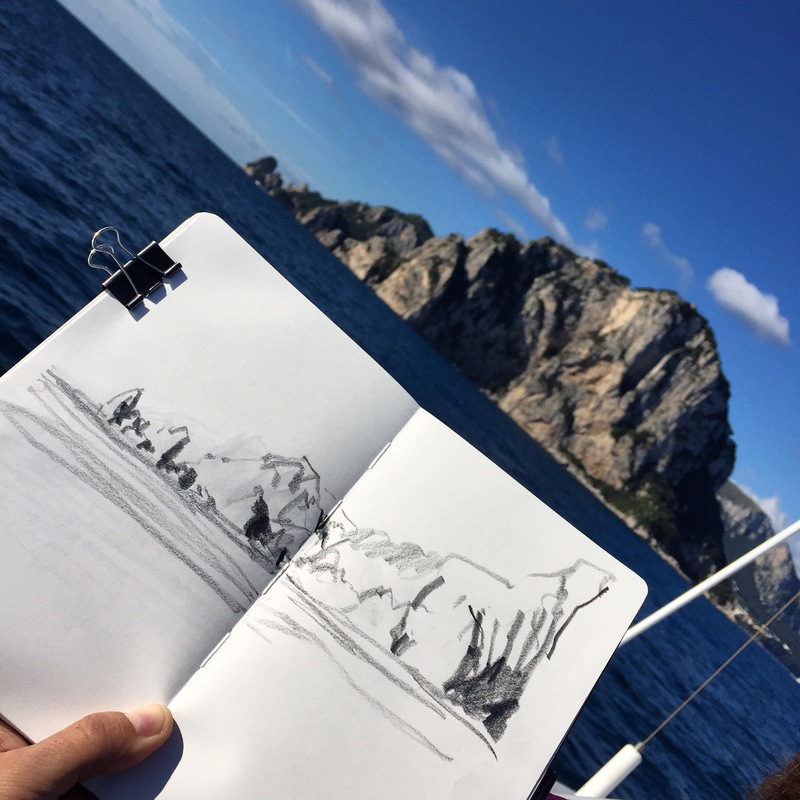 Capri, while waiting for the boat. People constantly interrupted me to ask for informations about the ferry service ! The light was amazing when I started drawing! 1 hour sketch, uni-ball on Caballo paper. 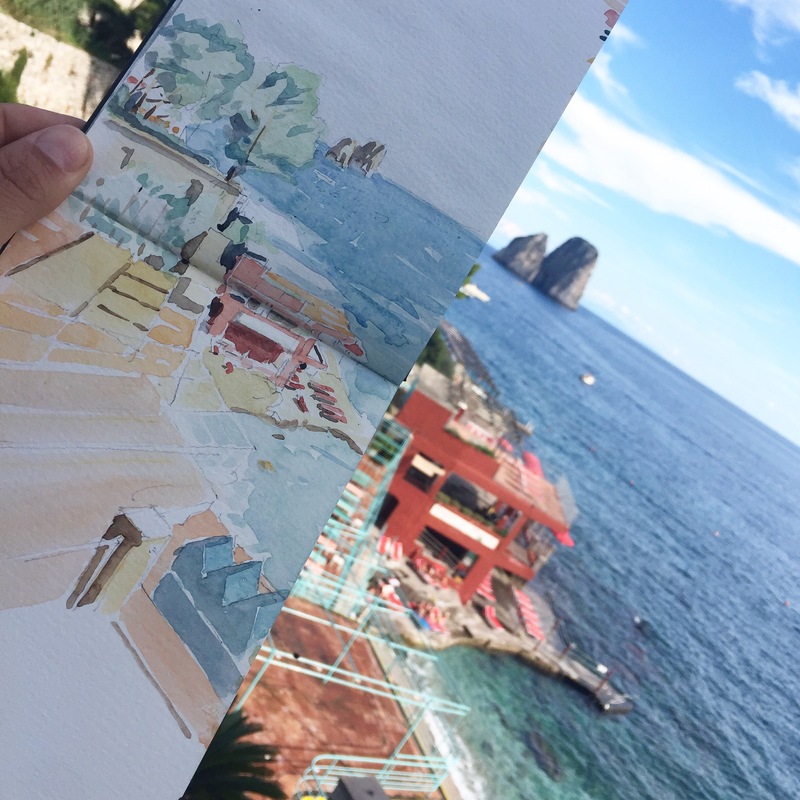 I Keep following Louis Kahn sketches, I ending up in such charming places like this at Capri. I can’t complain with the weather this time, and I couldn’t resist diving into these waters. Arriving to Capri! Having fun with the 6B graphite! 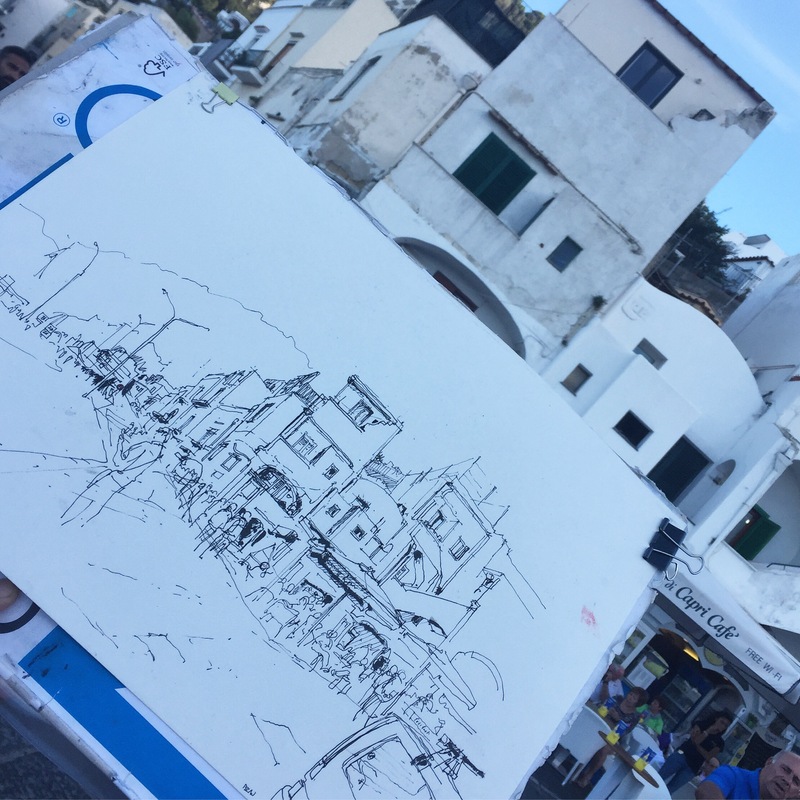 I was in Capri for the first time almost 20 years ago. Back then, I was traveling around Italy with some friends. At Sorrento, we rented a typical a wood little boat to go to the Island. 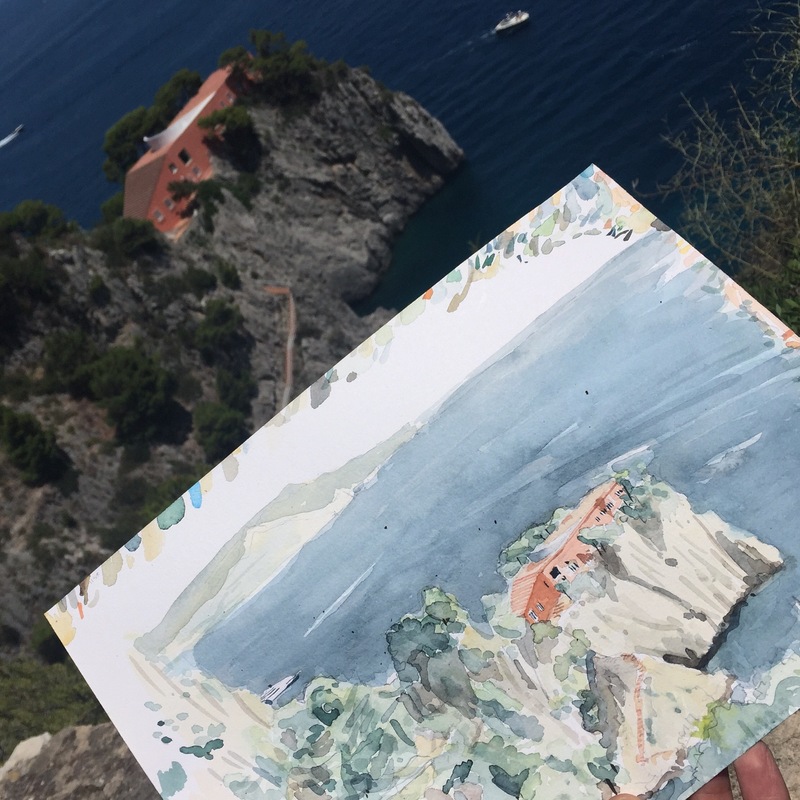 The “sorrentino” sailor, called Salvatore, as the majority of men here, wanted to show us to the famous grotto, while we insisted to go to Malaparte House (featured at “Le mépris” from Godard). Salvatore left us at Marina Piccola for about one hour. It was just the the time to run up and down the hill to reach the house, take a couple of pictures and return to the Harbor. “I’ll return one day and sketch it”, I thought. Yesterday, I arrived to other side of the island in a crowded ferry. I didn’t met the captain, although I bet his name was Salvatore. Then, hiked for one hour, crossing the center of the island, where all the tourists are concentrated. While leaving these streets, I started to alone on the little and charming alleyways sided by bougainvillea and the Mediterranean Sea. When I finally reached the house, as close as allowed, I was excited, nervous and totally alone for the next 3 hours.